The US Department of Justice and the FBI, along with international law enforcement partners, have arrested 10 individuals suspected of operating an international cybercrime ring that has compromised 11 million computer systems and caused more than $850 million in losses via the Butterfly Botnet. And it had help from an interesting source: Facebook. The botnet leveraged multiple variants of the Yahos malware, which steals computer users’ credit card, bank account and other personal identifiable information. The arrested group is a diverse bunch, hailing from Bosnia and Herzegovina, Croatia, Macedonia, New Zealand, Peru, the UK and the US. According to IGL Security, the Yahos worm most commonly uses IM services to spread infections. A Yahos-infected machine will normally send messages with content like “Foto :D” or “How does this photo look?” with an attached malicious file/link payload that normally has an innocuous name, such as photo.exe or facebook-pic.exe, so that the normal user would pay no attention to the file extension. Indeed, a version of Yahos created by the cyber-ring targeted Facebook users from 2010 to October 2012. Fortunately, the FBI said that Facebook’s security systems were able to detect affected accounts and provide tools to remove these threats. Facebook’s security team provided assistance to law enforcement throughout the investigation by helping to identify the root cause, the perpetrators and those affected by the malware, the FBI said. Users, as well as organizations, can reduce the risk associated with data theft through infected computers, by simply not opening attachments or following links received from strangers, or out-of-character messages from friends. Anti-virus software and ongoing monitoring for unexplained credit charges and the like can also mitigate the infections and the aftermath. The Canadian government plans to release a digital economy strategy by the end of the year, and one observer is gunning to use the milestone as a trigger for building a cloud computing industry secured by a standards-based identity infrastructure. Neil McEvoy, a Toronto-based entrepreneur and founder of the Cloud Best Practices Network, is adamant the foundation of Canada’s new digital economy strategy must start with an identity ecosystem, which will bring a layer of trust and security but also the ability to federate across industries and with other countries worldwide including the U.S plan called the National Strategy for Trusted Identities in Cyberspace (NSTIC). He says businesses and organizations would have cloud services and applications with identity as a built-in security feature. Canada has this opportunity, he says, because policy-wise it is mostly working from a greenfield. Last month, Christian Paradis, Canada’s Minister of Industry, promised to have a digital economy strategy in place by the end of December to stimulate innovation, new technology and the economy. The goal is to increase Canada’s competitiveness on the global technology stage. Canada has a ways to go in some areas, according to the World Economic Forum’s 2012 Global Information Technology Report. It shows Canada is 38th out of 142 nations in terms of government prioritization of information and communication technologies (ICT) and 53rd in the importance of ICT to government’s vision of the future. Also this year, the Conference Board of Canada, an independent, not-for-profit research organization, gave Canada a “D” grade for innovation and ranked it 14th out of 17 peer countries, with Switzerland, Ireland, U.S., Japan, and Sweden as the top five. “Countries with the highest overall scores not only spend more on science and technology but also have policies that drive innovation supply and demand,” the Conference Board wrote in its report. “Have you ever gone to Times Square and there is a mad guy on a box and people gather around, that is my role,” says McEvoy. He created the Canada Cloud Network with the goal of building a Canadian cloud computing industry that attracts startups and investors and stimulates the technology industry. He is leading an effort to create a new working group within the Kantara Initiative, an identity industry group, called Cloud Identity and Security Best Practices. And he also is helping create a similar group within the Organization for the Advancement of Structured Information Standards (OASIS) to help define a framework for government cloud computing using open standards that address areas such as orchestration, application management, key management and identity federation. “I want to bring together protocols into a framework like the Brits have done with G Cloud,” he said. The goal is to make Canada a world leader in cloud computing. He thinks a digital economy strategy for Canada will help build that machine. “If Canada can start to appear on the radar with new technology companies that have raised capital and are getting off the ground, I would think I have succeeded in what I need to do,” he said. Visionary pushing Canada toward cloud, identity future | ZDNet via Visionary pushing Canada toward cloud, identity future | ZDNet. A country-wide Web policing campaign led by China’s Ministry of Public Security has dealt a blow to 700 cybercriminal gangs in the country. In a statement Sunday, the Ministry of Public Security said since August, various police units in the country solved 4,400 Internet-related cases, busted 700 cybercriminal gangs and arrested 8,900 suspects. The police also deleted 1.88 million harmful messages while closing down about 3,500 spam Web sites, it added. The current Web policing efforts were an extention of a campaign which started in March. The ministry noted that cybercrime in China has extended from cyberactivities such as online theft, hacking and pornographic Web sites to activities offline such as the selling of guns, fake medicine and Internet fraud. Among the cases solved during the period was what the police dubbed the country’s first “illegal Internet public relations” case. Suspects provided a service to businesses to delete negative Internet posts and threatened to post negative comments if the victims do not pay. They managed to accumulate more than 10 million yuan (US$1.5 million) in blackmail fees. China busts 700 cybercriminal gangs | ZDNet via China busts 700 cybercriminal gangs | ZDNet. The link in question relates to a payroll help desk article entitled: “Real time password decode process.” It has since been placed behind a ‘permission wall’ but at the time of the Tweet, the linked document was in plain view from any browser. I saw it on an Android device. I asked Sage to comment on the issue. They said: “The link points to an article in our ‘ask sage’ knowledgebase that we provide to our supported customers, business partners and our internal support technicians. This is a dedicated service (not connected to any other systems or services) and contains no customer or business data.” So far so good. As Sage explained: “At no point in the article does it advise how to decode a password, just how to get the data to Sage for our internal Data Services team to decode.” Unfortunately, that’s not the point. Among other things, the document clearly sets out how to ensure that the help desk technician is speaking to the right person within the customer organisation and if not then how to update the Sage internal contact systems. A knowledge of help desk processes could be used to contact Sage customers with the purpose of obtaining passwords. All that would be required is a simple re-engineering of the password decode process to get the customer to reveal the appropriate information and at worst, to manually hand over sensitive files. Such a re-engineering would not work in every case and of course a nefarious individual would need to know who is and is not a Sage customer. That’s not too difficult to acertain, given the fact Sage’s database of contacts can never be 100% up to date and the bones of the process for updating customer data along with the name of the system used was also in plain view. Sage seems to be aware that security is important. They have a few pages about security that all say the right things. But in reality they fail on the most basic security measures. There’s no point in sticking your servers with Rackspace and shouting about how great the security is if the end-users password isn’t protected. After all, that’s all that is needed to get into a Sage Live account. The default option on the Sage Live homepage is for it to remember your username and password. You can untick it if you like, but you’ll have to remember to untick it every time you log in. Other wise, all someone needs to do is fire up your computer, put in the url and click the Login button. 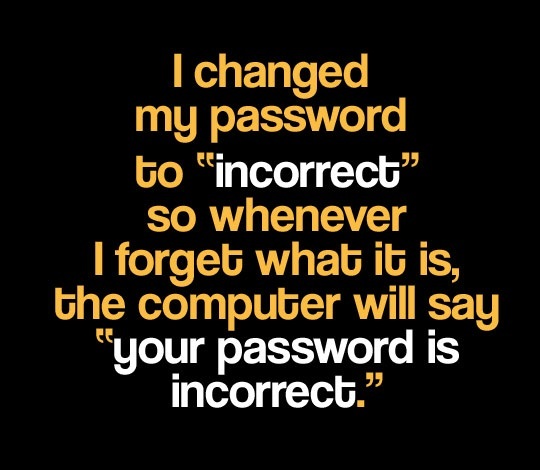 Your password is already there! I really had to struggle to stop myself adding 3 exclamation marks to that sub-heading. Almost unbelievably, they show your password on-screen when you log-in – in plain text. It’s sent to their central “passport” service using a GET rather than a POST – so your password is actually in the requested URL which is displayed in the status bar. What was surprising is that Jackson’s SageLive post was live for nearly a week before Sage closed SageLive off ‘for maintenance.’ Immediately prior to the take down, I contacted Sage to ask whether they were aware of the issues and it was only then that SageLive was killed. On this occasion, it is my understanding that the support document link was live for anyone to see for a month. It was only after the Tweets started flowing that Sage acted. How many other documents are there that can be easily accessed in this manner? How does Sage manage the third party support relationship such that it knows customer security related requests are handled appropriately? What is Sage doing to refine its decode or re-engineer its password processes to ones that are more secure? What is Sage doing to ensure that customers setup passwords that have a good chance of remaining secure? Sage reveals decode password processes | ZDNet via Sage reveals decode password processes | ZDNet. Discovering that your iPhone has been lost or stolen can be a terrible experience. Not only do you have to deal with replacing the device, but you also have to worry about someone accessing all the personal information you’ve got on the gadget. That’s why you always remember to password-protect your iPhone — to keep all your data safe if something goes wrong. Too bad that only slows hackers down for about six minutes. PC World reports that researchers at the Fraunhofer Institute Secure Information Technology in Germany published a paper which describes how someone with malicious intent can easily reveal most of the passwords stored on an iPhone — whether the device itself is password-protected or not — using a process that takes barely more than six minutes to complete. The first step in the method is to jailbreak the device — which basically means circumventing some iPhone security measures and installing software not authorized by Apple. This can be accomplished using one of many freely available software tools and allows for the installation of an SSH server — which in turn allows for access to the device’s password management system, better known as the keychain. At this point there’s a tricky step in which hackers face a keychain database which is encrypted with a key that can’t be extracted from the iPhone. The solution? Use the key from software within the device. Ta da! A few clicks later the iPhone will happily share its stored secrets. MS Exchange accounts, LDAP accounts (Lightweight Directory Access Protocol that allows for access to all sorts of directories, generally for corporate use), voicemail, VPN passwords, WiFi passwords and some app passwords are all easily viewed. The only things safe for the time being are passwords for web sites, and that’s only because they are stored in a different protection class. Scary, no? The good news is that the researchers who discovered this particular password revealing method will not be revealing the exact scripts they used to accomplish the task. The bad news? It shouldn’t take long for someone else to figure the method out. Owner’s [sic] of a lost or stolen iOS device should therefore instantly initiate a change of all stored passwords. Additionally, this should be also done for accounts not stored on the device but which might have equal or similar passwords, as an attacker might try out revealed passwords against the full list of known accounts. Hackers only need six minutes to reveal your iPhone passwords – Technology on NBCNews.com via Hackers only need six minutes to reveal your iPhone passwords – Technology on NBCNews.com. When Prince William’s official website released a series of photographs yesterday of a day in his life as an RAF search and rescue helicopter pilot, they probably didn’t imagine that the PR initiative would end up ringing security alarm bells. As The Guardian reports, some of the photographs had sensitive information in the background. Making matters worse, the images had already been shared widely with the world’s press. It only took us a few minutes this morning to find the original images on the internet. This is one of the original images that we found on the net. Can you spot the username and password? The revealing information in this photograph is pinned to the wall. I havve obscured the username and password in the close-up above, but it has to be said that when I zoomed in further I was disappointed to discover that the password was extremely obvious, easy to guess and – frankly – a diabolical choice. The original pictures have obviously been widely distributed, and the cat has to be considered out of the bag. The only sensible course of action is for the authorities to change the passwords to something much stronger, ensure that stronger unique passwords are used in future, and to take greater care about vetting photographs before publication in future. As we have explained before, if you are being photographed or filmed at your place of work, it may be sensible to remove any passwords which could appear in the background. The Ministry of Defence confirmed to the press that four images of the 30-year-old William (known as Flight Lieutenant Wales at the RAF base on Anglesey) had been replaced on the website with amended versions, obscuring potentially sensitive information. Passwords have also been reset as a precautionary measure. Has any harm been done on this occasion? Probably not. But the story is getting lots of attention simply because of Prince William’s involvement. If anything, some good may come of this. Maybe more people will be wary of what could be in the background when they get photographed or filmed in future. Prince William photos accidentally reveal RAF password | Naked Security via Prince William photos accidentally reveal RAF password | Naked Security. The BBC reports that a 20-year-old individual has been arrested in France on suspicion of developing and spreading an SMS Trojan designed to infect Android devices. devices of 17,000 individuals, causing total losses of around 500,000 EUR ($652,000). The malware was programmed to seamlessly send SMS messages to premium rate numbers and steal login credentials for gambling and gaming websites on which the victims owned accounts. Apparently, the suspect told authorities that he didn’t do it for the money, but because he loved computer technology. I believed Kevin Mitnick when he said he hacked into computer systems driven by a thirst for knowledge, but what does love for technology have to do with making 500,000 EUR off the backs of innocent users?